All of our boarding kennels have an internal area and an outside run area attached via a hatch system. The internal area is all heated throughout the winter months and all kennel sections have a radio playing throughout the day and night. Beds, bedding and bowls are provided. We don’t advise bringing pets own bedding as it can be hard to keep track of when we are popping bedding in the wash on a daily basis. 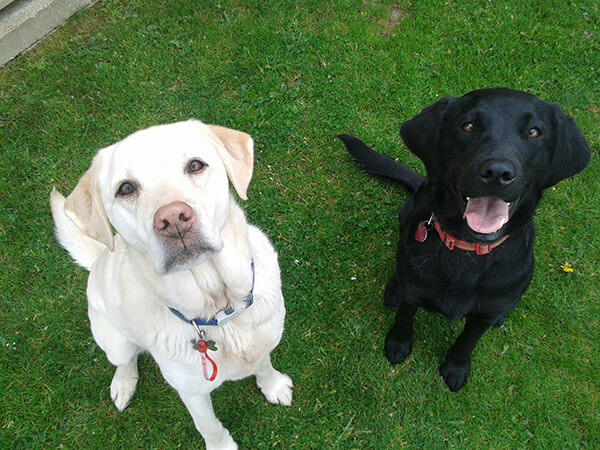 Dogs in our care have access to their run during our cleaning routine of which takes place morning and afternoon. During the middle part of the day customers have the option to opt for additional extras for their dogs to help make their stay more enjoyable. These extras include offsite walks, paddock walks and activity sessions and are advisable. 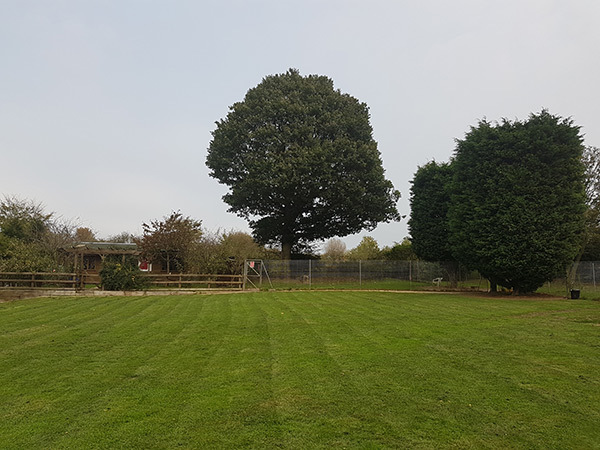 We are lucky to have a number of outside paddock areas of which we use to exercise the dogs in our care allowing them to have some off-lead time in an enclosed area. 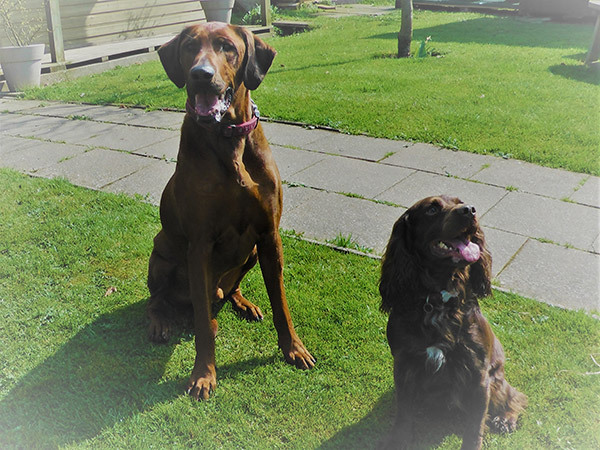 Dogs are always treated as individuals and we never mix the dogs in our care. We stock a variety of different feeds although many of our customers opt to bring their own. Prescription diets can’t be catered for but we do stock Royal Canin, Barking Heads, Bakers, and Pero (grain free) as well as a small variety of wet feeds. Food is included in our daily boarding charge. We also have freezer space for those that feed their dogs on a raw diet but we can’t provide the raw diet itself.